A reminder that the closing date for the Hunt for Herbs photo competition is the 30th September. You still have time to hunt for herbs along the Esk Valley line and take some photos if you haven’t already done so. The herbs can be growing on a station platform, in the wild or in a garden (make sure you ask permission of the gardener though). Some of the wild herbs in flower at the moment to look out for are yarrow, water mint and meadowsweet. There will be prizes of £25 each for: best photo of herbs at a station; best photo of wild herbs taken on a walk between/near stations; and best photo of cultivated herbs taken on a walk between/near stations. Photographs should be high resolution, JPG format over 1 MB. 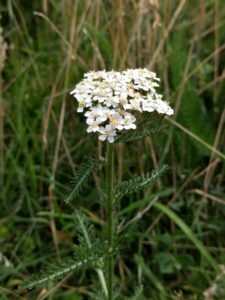 To enter simply send Moor Sustainable your best one or two photos of herbs by email to Moor Sustainable Full details and rules can be found on the Moor Sustainable website. The winners will be announced by the 31st October 2018.